Belts are essential for adding a hint of curve to the waistline, so could you ask for anything more from this gorgeous belt from Warehouse? With a tonal cow print design, and a brushed gold-tone metal buckle closure, it's a quirky way to add colour or texture to any outfit. 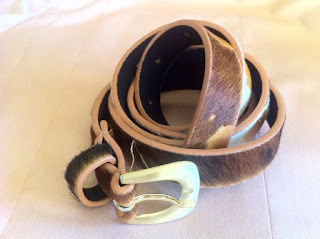 Of course this is the perfect belt for me seen as I'm completely obsessed with subtle Cowhide extras. And the news just keeps getting better: I snapped it up half price on Asos yesterday for only £10! I probably shouldn't but I still love animal furs and hides! 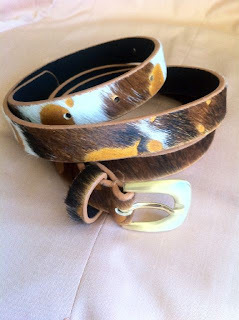 I love to animal prints and special on the small details! love animal prints... hope you're having a nice one! Thank you for the comments; much appreciated!